Amitabh Thakur, however, also noted that Amit Shah, D.G. Vanzara and several others benefited from the killing,. Though these individuals have already been discharged from the case, the court can always summon them again. 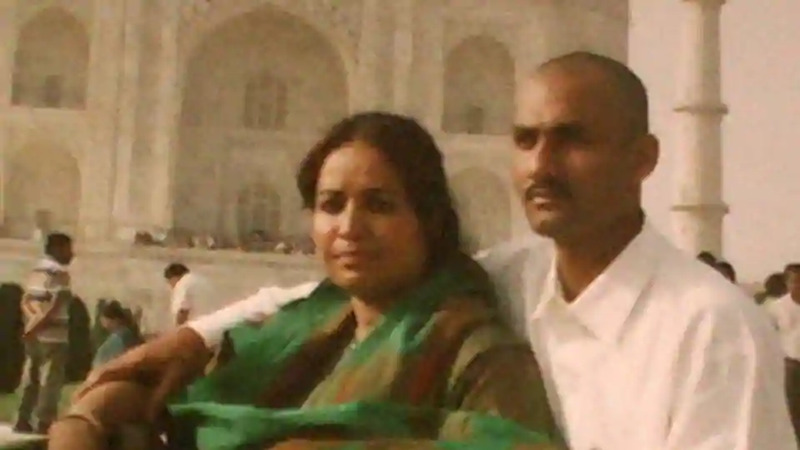 Sohrabuddin Shaikh and Kauser Bi. Mumbai: Amitabh Thakur, chief investigating officer in the Sohrabuddin Shaikh fake encounter case, has told the special CBI court that the 22 people named as accused had no “monetary or political motive” to carry out the killing. This statement, made on November 19, is likely to deal a severe blow to the Central Bureau of Investigation’s case. All five were earlier named as accused in the case, but eventually discharged for “want of evidence”. Since they were not acquitted, the trial court can always summon them again without falling foul of the bar on double jeopardy. Thakur, an Odisha-cadre IPS officer who was deputed to the CBI between 2010 and 2012, was asked a series of questions by special public prosecutor B.P. Raju about the nature of the investigation and the evidence collated by the agency. Thakur responded to all of them meticulously. But as defence lawyer Abdul Wahab Khan began cross examining him, Thakur fumbled. “Did the 22 accused facing trial in the case benefit monetarily or politically?” Khan asked. Thakur went through the chargesheet copy that was made available to him at the time of the deposition and responded, “No.” The next immediate question by Khan was, “Who were the other persons besides those facing trial to have benefitted from the crime?” After some deliberation, Thakur named Shah, Vanjara, Dinesh, Pandiyan and Chudasama. The CBI’s chargesheet has said that “monetary and political gains” were the motive behind the killings of Sohrabuddin and his wife. Thakur tried to read out the excerpts from the chargesheet filed by the agency and claimed, “Post-encounter, money was given to two persons, Shah and Vanzara. Rs 60 lakh was extorted by D.G. Vanzara and Rs 70 lakh was paid to Amit Shah in three instalments by Ramanbhai Patel and Dashrathbhai Patel…” Khan, however, took objection to “mere reading of the paragraphs from the chargesheet” and Thakur was asked to paraphrase his responses. When Khan asked Thakur yet again if the CBI had collected any evidence to prove its case as stated in the chargesheet, Thakur again said, “No.” His deposition went on for nearly 7-and-a-half hours. This is the first time the agency has claimed not to have any material evidence to support its case – neither against those facing trial nor those who have already been discharged from the case. Thakur’s statement will have major bearing, as without the exact motive for the killing, it will be a challenge to prove the case. Of the 209 witnesses who have deposed in the case so far, almost 60% of the witnesses, all crucial, have turned hostile. The case, which was earlier handled by the Gujarat CID and later by the state’s Anti-Terrorism Squad, was handed over to the CBI in 2010 after Sohrabuddin’s younger brother, Rubabuddin Shaikh, moved the Supreme Court. Rubabuddin, who deposed before the special court last week, has also made several contradictory statements in his depositions. Thakur was the first CBI officer to have taken over the investigation, and handled it for two years. Soon after, the investigation was handed over to another Delhi-based CBI officer, Vinay Kumar, and eventually to IPS officer Sandeep Tamgadge. It was Tamgadge who began investigating Tulsiram Prajapati’s alleged fake encounter along with Sohrabuddin and Kausar Bi’s. Prajapati, a close associate of Sohrabuddin, is believed to have been travelling with the couple on a bus on November 23, 2005 when the two were allegedly kidnapped. Prajapati was arrested and sent to Udaipur prisons and was later killed in an encounter in 2006. All the senior officials who were a part of the original list of 38 accused, including Shah, have already been discharged from the case but the court is free to summon them again. The defence lawyers tried to push the responsibility of the conspiracy and the eventual murder on the senior officials – a classic defence mechanism adopted in almost every case of encounter killing – who aren’t facing trial, and Thakur answered to their liking. Of those facing trial are 21 officials (all low rung) and one owner of the guest house where Kausar Bi was allegedly abducted and kept for a few days before she was killed. All the accused are out on bail.